The HVTC 25K has a cap of 1,000 total runners or a deadline date of March 1st….whichever occurs first. The 50K, offered to experienced runners only, is capped at 300 and the start time is 8am. Runners are expected to traverse the course in 9 hours or less. The 25K, open to runners and hikers alike, starts at 9am and there will be new cut-off times in place to ensure a sub-9 hour finish. Parking is across the street at the airfield as usual. There will no parking at the WCSA clubhouse near the start/finish. Please arrive early on race day to pick up race bag and bib as registration will end at 8:30am in order to get everyone across the street to the start line. 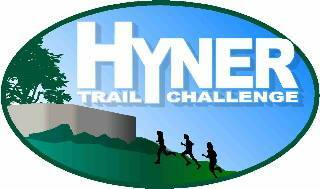 The Hyner 25K is also part of the Central Pa Trophy Series.